I love running; I love races; I love hanging out with runners; and I love to ride my bike, especially on rural dirt roads. Given all that, my dream day would probably consist of riding my bike on a long a dirt road while watching an exciting race, and then hanging out with a bunch of cool running people afterwards. 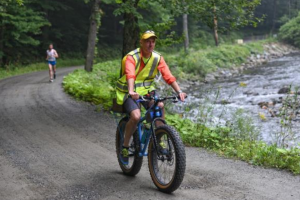 All of that and more happened on August 26th when I had the great honor of serving as both lead bike and MC announcer at SMAC’s first annual New England Green River Marathon. 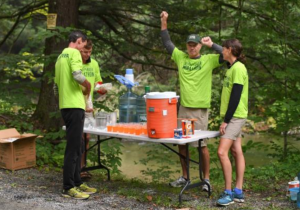 The marathon follows a point-to-point course from Marlboro College in southern Vermont south to Greenfield Community College in Massachusetts, almost all on Green River Road, a dirt road that follows the river it’s named after. It’s a net downhill, cool, shaded course that was dreamed up by SMAC President Tom and board member Laure Van Den Broeck Raffensperger, so it’s both beautiful and ideal for summer running. Indeed, it was cool enough that I needed a windbreaker for well over half the race, a refreshing change from the weather we’ve had almost all summer. At first a young kid surged ahead by 100 yards in the first steep downhill, but then was dropped and not seen again near the front. A group took the lead for several miles; the only one of them I knew was Kent Lemme from Pittsfield. By mile 5 or so it was down to two, a bearded fellow and a young woman. I later found out they were Coley Carden from Winchester, MA, and Meg Brockett from Hampton, NH. There were almost no cars on the route in those early miles, partly due to road construction that had closed a section in Halifax, VT, but I know from running and riding these roads that there is hardly ever any traffic on Sunday mornings. Because of this I was mostly able to ride looking backwards and watching the race unfold. Coley and Meg ran together for a few miles but by mile 8 or so she started fading back a bit. By mile 10 and the famous covered bridge in Guilford, VT, I couldn’t see her anymore. The covered bridge and the 16-mile bridge were some of the only spots with larger crowds, given the difficulty of accessing most locations by car, though all the aid stations featured enthusiastic cheering volunteers, and all the cyclists and runners we encountered were giving Coley support as he ran by. I kept a 20-foot or so distance ahead, warned Coley anytime there was a car up as he warned me of any car back, and I occasionally pointed out landmarks like the Massachusetts border or said things like “big hill coming up.” But I know from experience that once you’ve run over 15 miles you’re usually not feeling all that chatty and are using your waning energy to keep your feet moving, so I refrained from trying to engage too much. Like the Boston Marathon, this course is a net downhill, but has its fair share of uphills too, and just like Boston the biggest hill is between mile 20 and 21. Climbing up to the final stretch of pavement by the Eunice Williams Bridge in Greenfield didn’t seem to faze Coley too much and he tackled the hill with a strong consistent stride. The toughest part, though, was just ahead as the road widens, turns to pavement, and is largely exposed to the sun for the final 5 miles. As we hit pavement I looked back and faintly saw the silhouette of young Meg Brockett, whom I had not seen since almost 12 miles earlier, reappear in the distance. I had assumed she had fallen too far back to catch up, but there she was. I looked back again a couple hundred yards later and she was unmistakably closer. The next time, closer still. A mile later it was pretty clear she was at least going to battle Coley for the overall win. Less than a mile after that, before the right turn onto Meadow Lane, she passed him. Whether it was the sun, the change to pavement, or just the fatigue, Coley had faded while Meg kept going strong the whole time. All of a sudden I had a new companion. We rounded the corner onto Colrain Road where veteran Greenfield Triathlon organizer Rick Roy was expertly directing traffic and Coley had pretty much disappeared. Meg ran in the sun; cars whizzed by not caring that the young lady they were driving too close to had run all the way from Vermont and was likely exhausted. The stretch leading up to the turn onto College Drive was definitely the toughest as I watched car after car come within a foot of Meg though she, running on the right-hand side of the road, couldn’t see them. Not that any of this seemed to bother her at all. She didn’t look back to see if anyone was closing in (they weren’t), and she just kept trucking towards the finish. We turned onto College Drive and when we got to the big field – greeted by the Reinos and their vuvuzela! – I pulled over and told Tom Davidson to make sure she was sent the right way and didn’t follow me. I biked around the spectators so I could see her finish – a great moment in SMAC history as we’ve always been a club that has championed female athletes. She crossed the line in 2:46:36, arms held high and seeming as fresh as she had the whole time she ran. Seconds after I hopped off the bike, Tom Raffensperger handed me a microphone, introduced me to John from Velocity Results whose computer was tracking times, and asked me to announce runners as they finished. Coley came in second but was over 4 minutes back at 2:50:54. He wasn’t too far ahead of 19-year-old Vikram Daesety of Andover, MA, whose time was 2:51:37. One of the early leaders, Ron Peck from Waterville, ME, was next in 2:54:34, and then Ben Whitbeck was the first local finisher and first master in an impressive 2:55:42, even though since having two kids Ben has been unable to train as well as when he came in under 2:50 in Boston a few years ago. The top 10 spots were rounded out by Stanton Cady of Somerville, MA (2:56:41), Joseph Ryan of Reading, MA (2:58:06), Kevin Crowley of Concord, NH (2:58:36), Matt Fernandes of Norton, MA (2:59:32), and John Kemp of Sheffield, MA (first senior, in 3:00:18). Notable early local finishers included Glenn Caffery of Leyden (3:12:33 at 57 years old), John McCarthy of Ludlow (3:15:19), Nate Olson (3:19:57) and Marcy Cabanas (second overall female in 3:20:41), who both reside in Greenfield. John Herron of Shelburne finished his first marathon in 3:22:15, Donald “Boog” Pacher of Easthampton came in at 3:32:45, and Carsten Braun of Greenfield, fresh off a Monadnock climb the day before and a Presidential Traverse (14 miles, 5700+ ft. of elevation) on Friday, was next at 3:32:49.  More SMAC members followed: Paul Hake of Leyden (3:33:16), Sri Bodkhe of Buckland (3:35:51), Mike Barlow of Conway (3:46:10), Seth Montgomery of Mount Hermon (3:46:29), Sarah Nelson of Florence (3:48:34), Bryant Johnson of Easthampton (3:57:00), Erica Belanger of Colrain (4:15:36), Tom Benjamin of Haydenville (4:20:30), Jennifer York of Amherst (4:26:08), Michael Paulsen of Cummington (4:27:12), Mike Duffy of Shelburne (4:32:35), Alaina Belanger of Colrain (4:38:08), Sara Simmons of Northampton (4:54:47), Carla Halpern of New Salem (5:00:04), Gina Vanasse of Belchertown (5:13:58), Carl Cignoni of Chesterfield (5:36:50), and Nancy Mead of Wendell (6:11:20). Many of them were running their first marathon ever! The Belangers, incidentally, live along the course and stopped me when I ran by one day to offer their house to us as a water stop – that’s how welcoming the local residents were. There were many inspiring finishes as I stood there trying to read the names correctly in the small computer print. 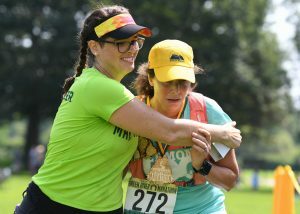 One that stood out was Mark Trahan of Worcester, whom I’d met for the first time before the start, who sprinted across the line and kept running, dancing, and yelping about what an amazing experience it had been. I’ve learned that watching a marathon is a lot more than who runs fastest or whose stride is smoothest. Some of the greatest stories come well after the four or five-hour mark, as people gloriously cross the line of their first, their hundredth, or, in one case, their thousandth-and-something marathon. It’s always inspiring to watch people overcome the conditions, the weather, and, most of all, their own fears to finish something that only a small percentage of people are ever able to do. I’ve run 18 marathons myself, but I’ve never been as moved by the experience as I was last Sunday. Thanks for the privilege, Tom and Laure. Can’t wait till next year! Patrick is a SMAC Board member from Montague.